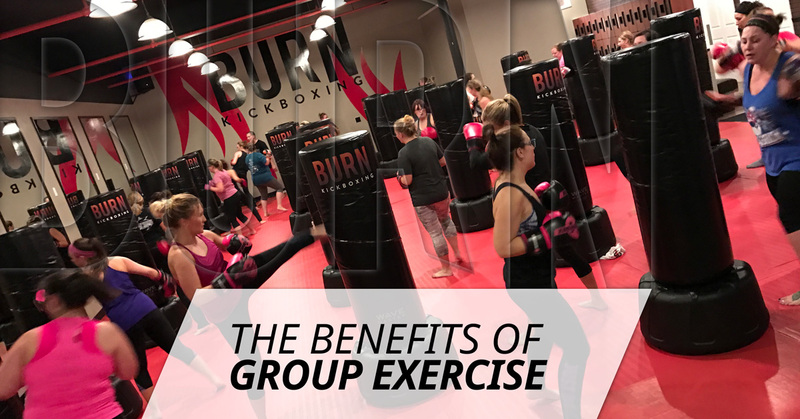 Previously, we took a look at the physical benefits of kickboxing, but today we’re going to be looking at the benefits of group exercise in general. It’s not uncommon to run into roadblocks when working out alone, but you will find that group exercise solves many issues that stop a good training regimen in its tracks. Often we hear that someone gave up working out on their own out of boredom, though it’s more common that is caused by frustration. When exercising with a group, a camaraderie is built up. You feel less like you’re climbing a mountain all alone, and more like everyone in the group is collectively lifting each other up to that goal together. That’s another huge plus for group workouts. You’re able to be social and have far more fun with a workout, whereas when you’re flying solo it can just feel like plain old work. And with everyone doing the same exercises, the synchronization creates a harmonious feeling, just like good music. Speaking of good music, it’s always better when shared with others. Most group exercise is set to a great soundtrack that gets your heart pumping and your adrenaline going. Working out is a lot like dancing; it’s better with a beat and the more people doing it, the more fun it is. Having an instructor and fellow classmates also provides a level of accountability not found when relying only on self-motivation. With a consistent schedule and a detailed exercise plan, it becomes easier to chart your progress as well. Consistency is absolutely paramount when it comes to successful fitness. It’s impossible to reach your goals if you rely on that common phrase, “I’ll do it when it’s convenient.” That leaves too much room for excuses to creep in, and before you know it, you haven’t hit the gym in a year. But knowing your instructor and classmates are invested in your success, and you’re invested in theirs, provides that extra boost to keep you going. With a regimen that is designed for all experience levels, it also makes sure everyone is on the same page. There’s not the tendency to look at how much more strangers are doing and get down on yourself because everyone is at the same pace. Additionally, with a trained instructor running the course, the classes safety is much more secure. Gone is the danger of pushing too hard and injuring yourself. Here at Burn Kickboxing, we love our group workouts and think you will too. Give us a call today to put a kick in your workout.